Left: "I wanted to go down there and kill them men," says Carol Smelley, 82, center, of the staff at the Florida School for Boys. She credits them with killing her son Michael in 1966. She and her husband Terry, have been silent about their son's death for decades, giving up hope that it would ever be looked into. 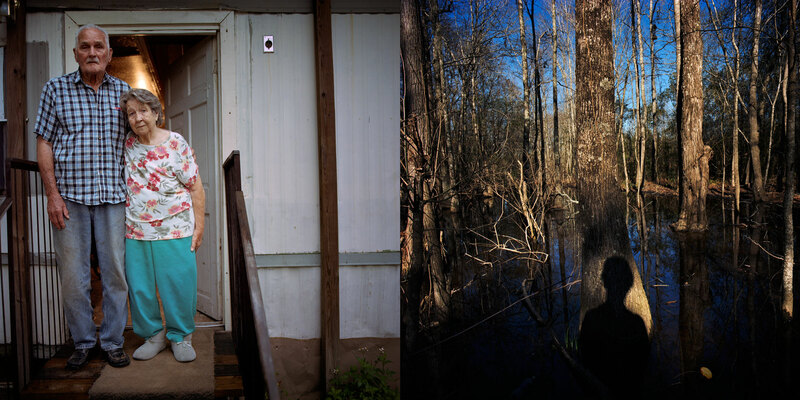 Right: Before it was fenced with razor wire, a swamp made escape from the Florida School for Boys difficult but children attempted to escape through it nonetheless. Sometimes the children were chased down with dogs. One former guard referred to the practice of chasing down the escaped juveniles as "boy hunting."